Just a quick battle report from this last week at Misty Mountain Games. 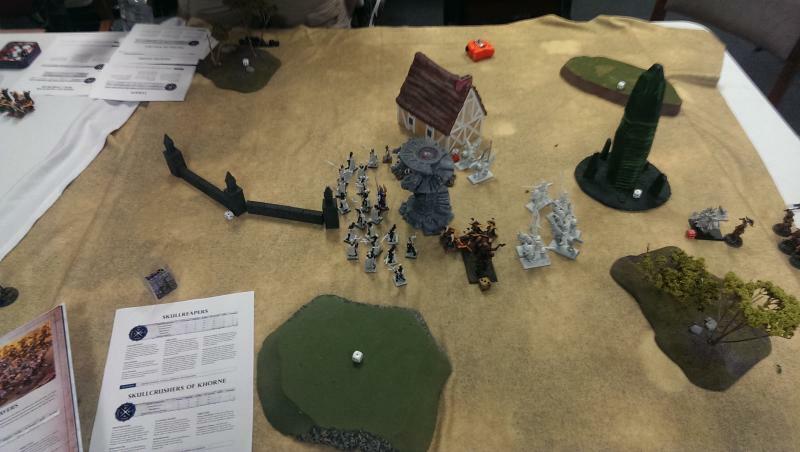 The local Bolt Action crew has been picking up and gaming pretty regularly at Misty on Thursday nights. This week we had six players with 3 games going! 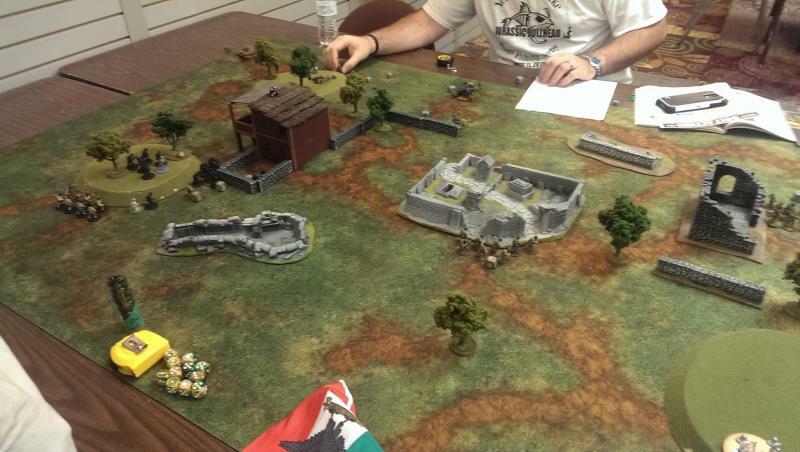 Here’s the action from my game; my US Army against Donavon’s Italians in a 1000pt game using boltaction.net rules. Brian’s back and in the saddle for another episode of the show. Wow, 65 of these things. Who would have thought. Thank you, the listeners for keeping up your support. Yep, you know who you are! In this episode, we have a lot to talk about. After all, it’s been a while since we have heard from Brian, there is this whole Warhammer: Age of Sigmar thing, and somewhere in there Conesy went to Gen Con. Oh yeah, did we mention, lots of games, talks with Games-Workshop while at Gen Con, and general fun and hobby all in one show! Yeah, we are excited and hope you are too. Go ahead and give it a listen, Welcome toooooooo Episode 65!!!!! So we had 6 players out, which really wasn’t enough to really showcase the way I had things laid out, but gave us all a chance to play some games. Instead of doing the originally scheduled 4 games, we cut it back to three and went at it. Overall, I think everyone had a great time playing the battleplans we used, which ended up being Pre-Emptive Strike, Watchtower, and The Ritual. The last one, the radius for the The Ritual effect seemed to be a little big, but the other scenarios weren’t too bad. Using a sideboard for players to swap in and change up their lists was super helpful and kept things like summoning in check while also allowing players to switch up their roles a bit as attacker and defender. Couple of things I did take away from it though that I think could be an improvement. The sideboard for Undead in particular should be a bit bigger, maybe 50% of their force rather then a third. The ritual battleplan could be improved. Another thing I took away is that it wouldn’t be much to increase rounds to 2 hours and up the wound counts to 100 wounds or so. I do think that could open up a level of new broken issues with that level of points. I am setting up some games now to see what I think about the balance at the larger point sizes. All in all, it was a great day and thanks to everyone that came out and played games at Pegasus Games. 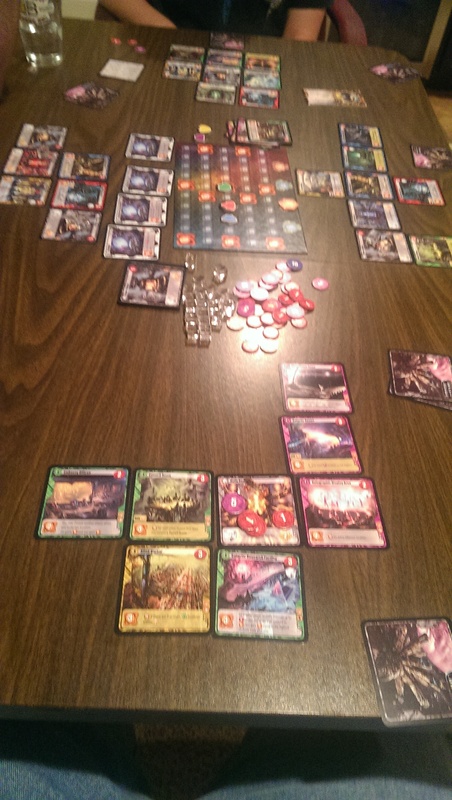 Among the Stars is a drafting card game where you play an alien race that is trying to build a space station and score the most points during the game. It’s become one of my new favorite style games and really replaces another, similar game for me in 7 Wonders. It’s theme is very strong and you really do feel like your building a space station. Yes, I know we love our Fantasy stuff here on WiscoDice, but the theme here is super cool and captured very well in the design of the game. How many players? The base game plays 2-4 players, but with expansions goes up to 6 players. IMHO you need a minimum of 3 players, though the 2 player variant rules do seem to work pretty well, though it’s putting in 2 dummy players essentially. 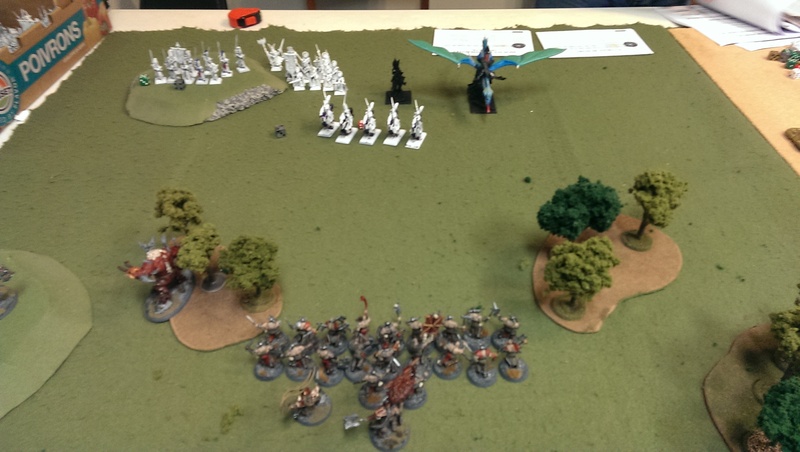 Found myself tonight, a day after Gen Con, with an itch to play some Warhammer: Age of Sigmar. It was really a last minute decision as work and life really have had me busy, but the stars aligned and I was able to get out the door and to Pegasus Games with the Warhammer: Age of Sigmar starter box and the hardcover book.